Home / Help & Advice / / Revealed: The UK burglary hotspots, do you live in one? Revealed: The UK burglary hotspots, do you live in one? It doesn’t matter where you live in the UK, you need to be mindful about security in your area. This means to install some additional lights, making sure the entrances are well light, close all your windows at night and find a more secure place for the spare key. 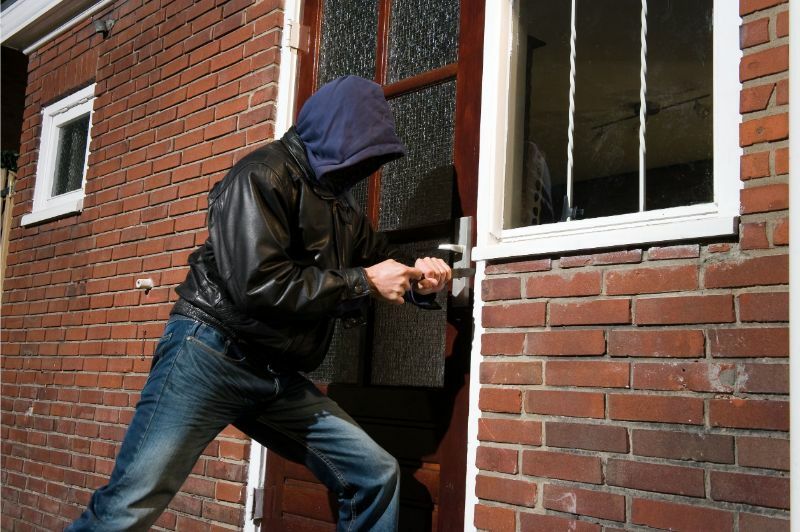 Ensuring your house is not an easy target for criminals is paramount. New research from MoneySuperMarket has revealed which areas in the UK experience more crime than others. Data analysed from more than 2.5 million home insurance quotes over the last two years has revealed the postcodes most at risk of burglaries. The top 20 have been listed below, do any of these look familiar? While averaging the data doesn’t accurately reflect on individual experiences, those living in the areas at the top of the list should be mindful of their surroundings. Whilst major cities make up quite the bulk of the list above, interestingly, London is not featured once. Essex however, favours less well, unfortunately having a couple of postcodes included in the worst offenders list. Whilst the stats above highlight the reality of the situation, residents perceive the burglary problem in their local area differently. People living in London (28%) and Leeds (31%) are the most likely to believe they live in a burglary hotspot. In reality, the rate is far lower than they may expect. Emma Garland, data scientist at MoneySuperMarket, commented: “Over the past 12 months, burglars have mostly been targeting suburbs and urban areas, with the safest areas dominated by smaller towns and villages. “Anyone that has ever been burgled will tell you that the cost goes beyond the value of the items stolen, from the psychological impact of your home being violated to the difficulty of replacing things with sentimental value. That’s why it’s surprising to see that almost half of people haven’t put any additional protection in place for their home, despite one in five believing they live in a burglary hotspot. “For thieves, it’s all about risk versus reward – if the reward looks likely to exceed the risk, they are going to target that home. Homeowners must do as much as possible to tip the balance in their favour and make things harder for burglars. For tenants, it’s more difficult to ensure the security of their property. Any modifications need to get approved by the landlord and that’s not always easy. However, tenants should attempt to persuade their landlords that an investment in security will pay off. All of these will be the landlord’s responsibility to repair or replace and the costs can easily run into the thousands. At the same time, the majority of thieves will be deterred if all possible entry points are well light. The other hurdle for securing rented properties, especially HMO estates is controlling the access. The Tenants’ Voice recommends all tenants to replace the locks in their new rented property immediately after their move in. Usually, this still requires the landlord’s approval, but if you return the property with the original locks at the end of the tenancy, and don’t unreasonably deny access, you shouldn’t run into trouble.